Tea ceremony. 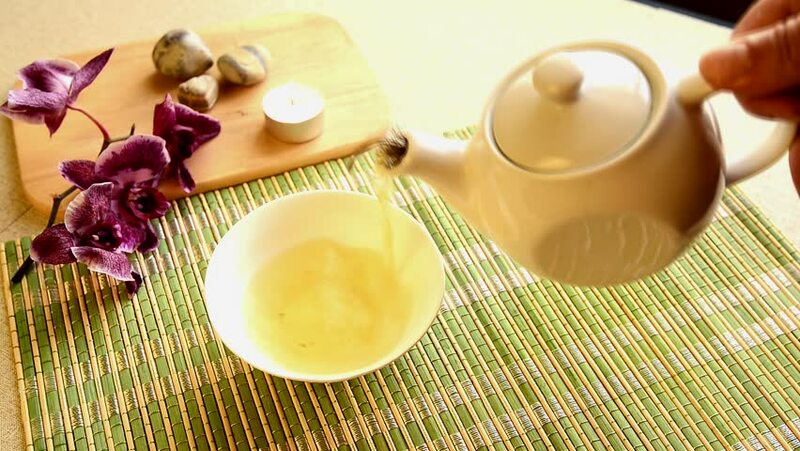 Green tea is poured from a teapot into a cup on a light background. Slow motion. hd00:16Green tea is poured into a small bowl that stands on a light table next to a purple orchid flower and a burning candle. 4k00:15Jar of milk, butter, cookies, and fresh baguettes on a rustic wooden table. Countryside breakfast. 4k00:25Step by step. Pouring traditional lemonade with fresh sliced lemons and mint into the glass.